Discussing The Beekeeper by Dunya Mikhail, translated by Max Weiss. 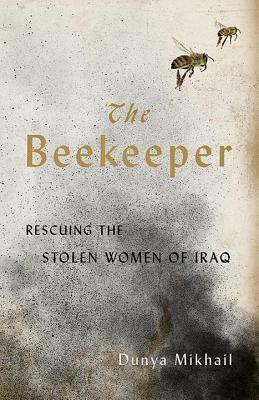 The Beekeeper, by the acclaimed poet and journalist Dunya Mikhail, tells the harrowing stories of several women who managed to escape the clutches of Daesh. Mikhail extensively interviews these women–who’ve lost their families and loved ones, who’ve been sexually abused, psychologically tortured, and forced to manufacture chemical weapons–and as their tales unfold, an unlikely hero emerges: a beekeeper, who uses his knowledge of the local terrain, along with a wide network of transporters, helpers, and former cigarette smugglers, to bring these women, one by one, through the war-torn landscapes of Iraq, Syria, and Turkey, back into safety.